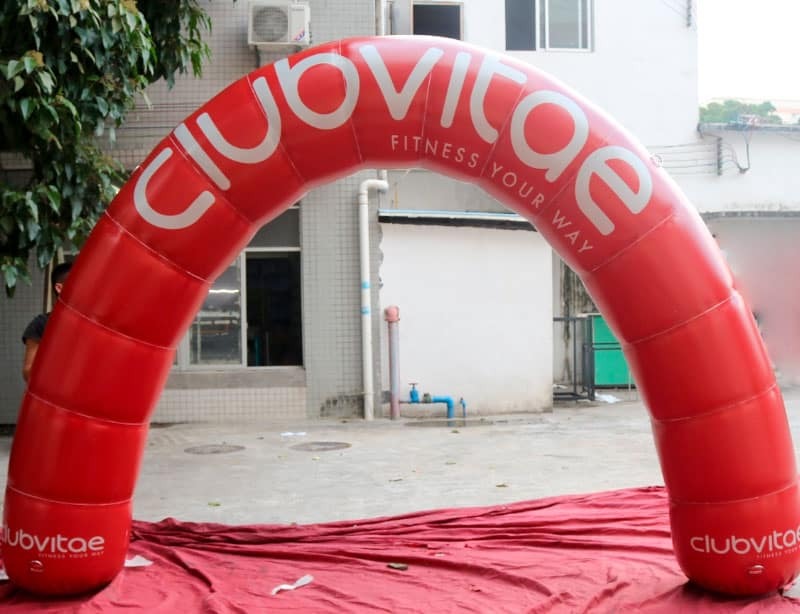 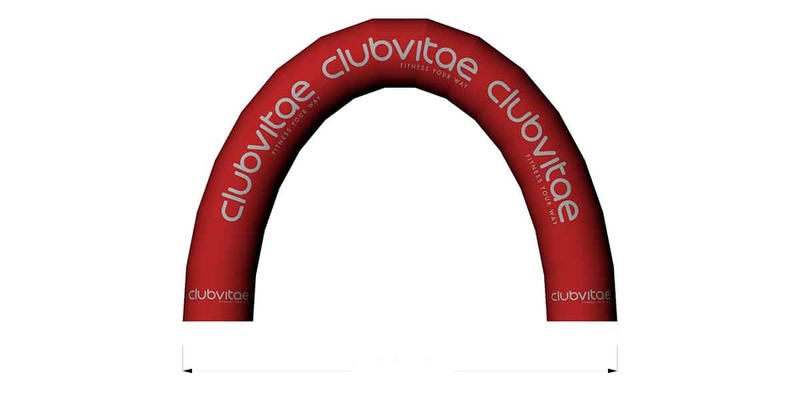 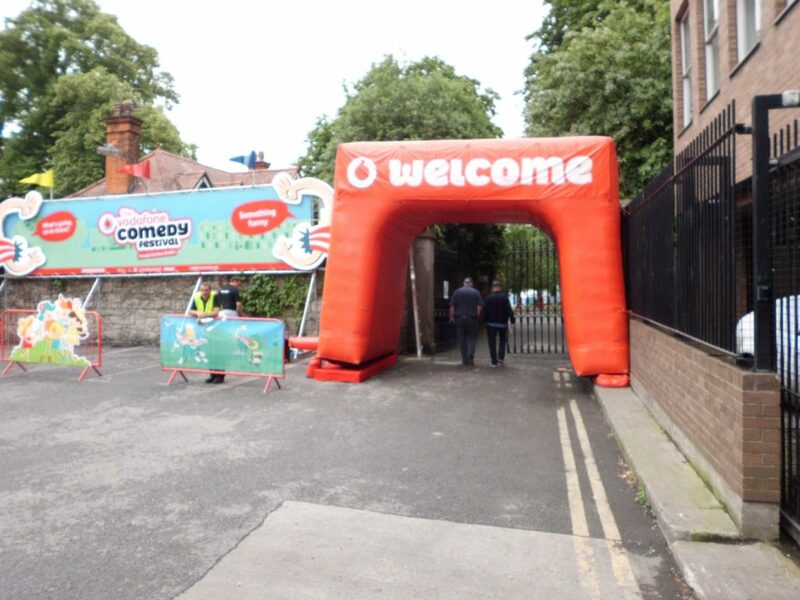 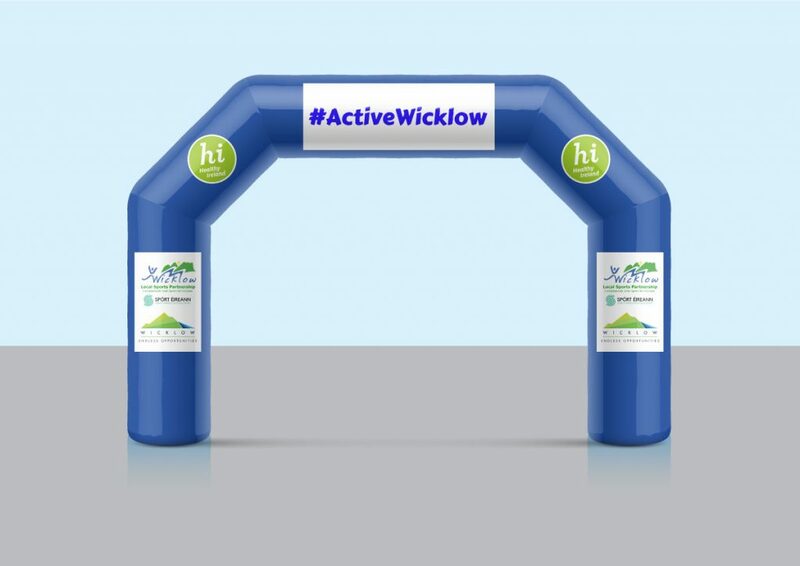 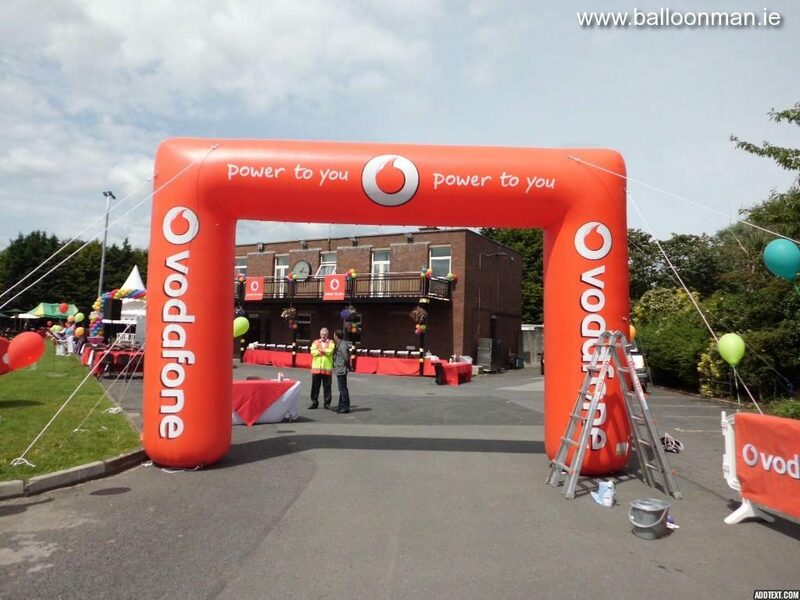 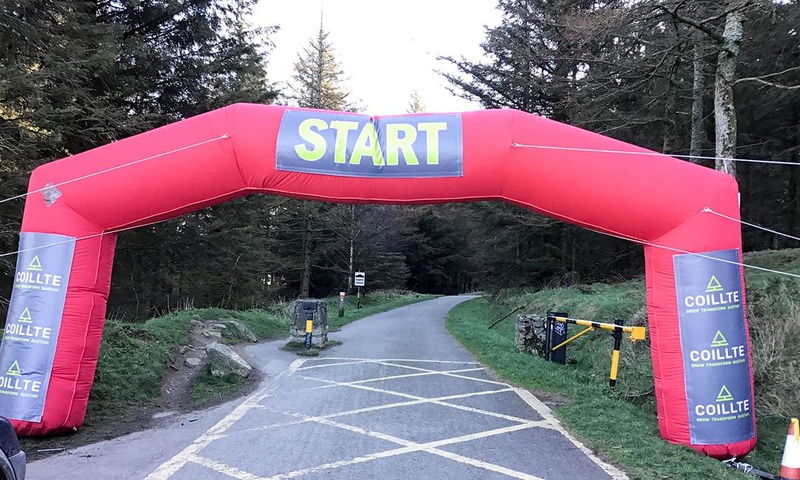 Add excitement and branding to sporting events such as 10 k runs, marathons and bicycle races with inflatable arches. 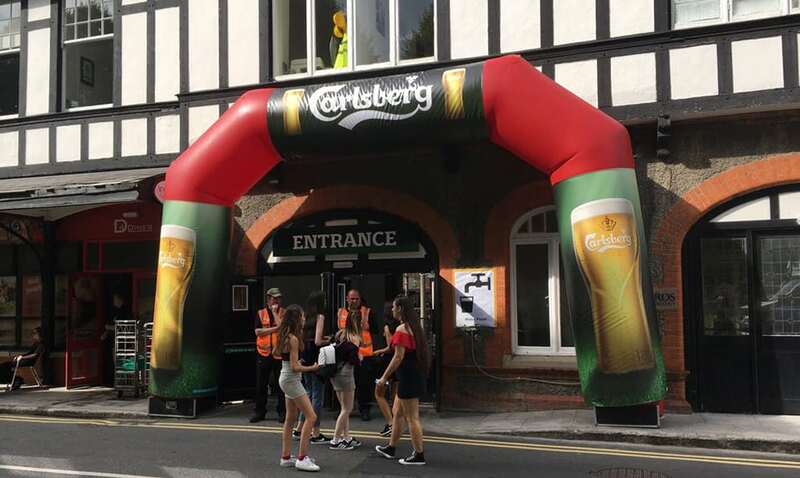 Inflatable arches create an impressive presence and exciting atmosphere to concerts, sporting and charity events. 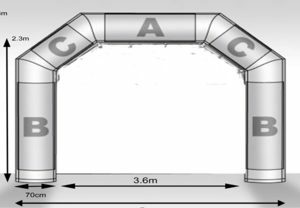 The arches can have artwork printed onto the fabric, or onto removable Velcro banners. 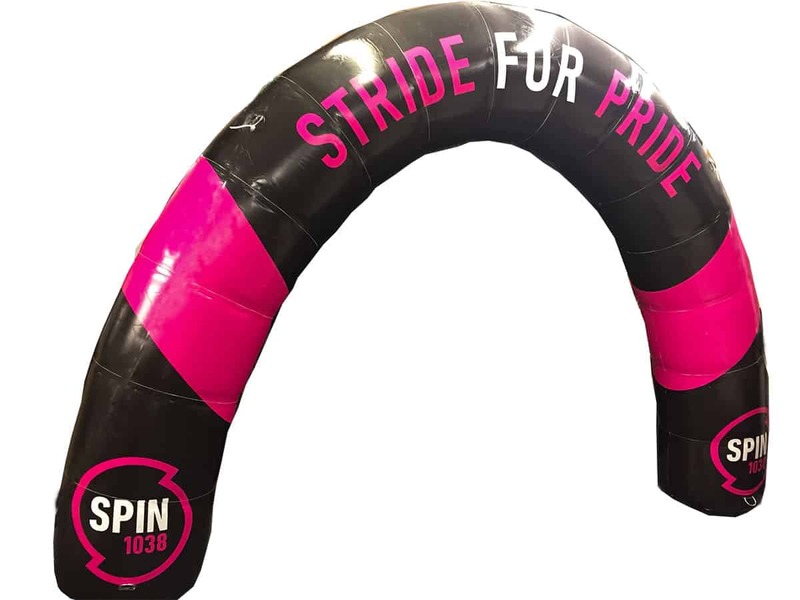 We can even pantone match the base colour fabric if you have a specific colour requirement. 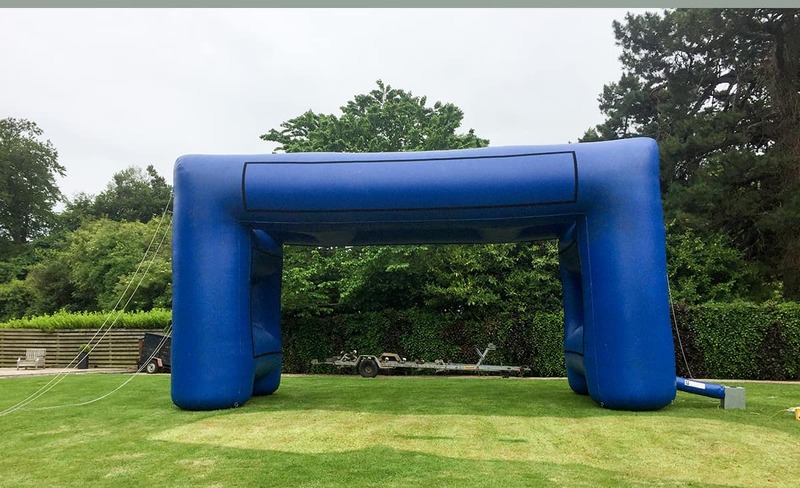 Also easy to inflate, via an electric fan blower, the only thing you require is power from the mains or a generator. 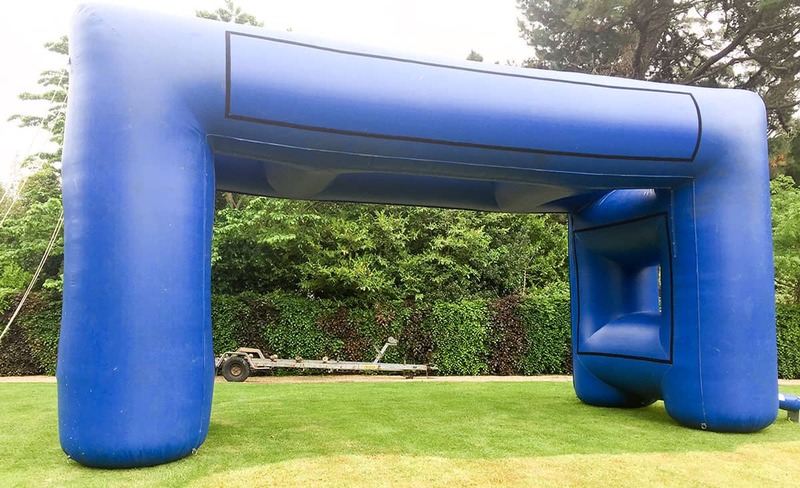 The arches can be folded away and stored in the boot of a car. 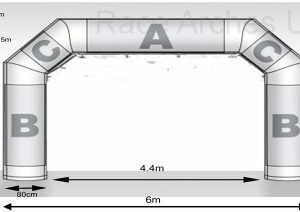 Tether lines, pegs, ground sheet and 12kg heavy weights.